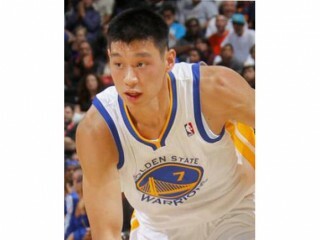 Jeremy Shu-How Lin is an American professional basketball player for the Golden State Warriors of the National Basketball Association (NBA) assigned to the Reno Bighorns of the NBA Development League (D-League). Was not drafted by an NBA franchise ... Signed as a free agent with the Golden State Warriors on July 21, 2010 ... Played in the 2010 Vegas Summer League with the Dallas Mavericks, appearing in all five games and averaging 9.8 points, 3.2 rebounds, 1.8 assists and 1.20 steals in 18.5 minutes ... In line to become the 42nd Ivy League player to appear in an NBA Game, and the first since 2002-03 (Chris Dudley and Matt Maloney). Played all four years at Harvard, appearing in 115 games (87 starts), averaging 12.9 points, 4.3 rebounds, 3.5 assists and 1.96 steals in 29.2 minutes while shooting 48.1% (506-1052 FG) from the field ... Became the first player in Ivy League history to record 1,450 points, 450 rebounds, 400 assists and 200 steals ... Ranks first all-time at Harvard in games played (115), fifth in points (1,483), fifth in assists (406) and second in steals (225) ... One of 11 finalists for the Bob Cousy Award as a senior ... Named All-Ivy League First Team as a junior and senior ... Named USBWA All-District 1 First Team and NABC All-District 13 as a senior ... NABC All-District 1 First Team as a junior ... Named All-Ivy League Second Time as a sophomore. Is the son of Shirley and Gie-Ming...Has two brothers, Joseph (younger) and Josh (older) ... A four-year letterwinner and three-year starter at Palo Alto HS under coach Peter Diepenbrock ... Captained his high school team to the CIF Division II State title by scoring 17 points in a upset of nationally-ranked Mater Dei in the finals (51-47) ... Three-time first team All-Santa Clara Valley Athletic League selection at guard ... Two-time SCVAL Most Valuable Player ... As a senior, named Northern California Division II Player of the Year, Northern California Scholar Athlete of the Year and First Team All-State ... Named Player of the Year as a senior by the San Francisco Chronicle and San Jose Mercury News...Led team to a 32-1 record as a senior and a 32-2 record as a junior to set school records for victories in a season ... Earned a 4.2 GPA in high school ... Was a summer intern for California senator Joe Simitian during high school ... Was editor of his high school newspaper ... Earned school’s President Award as Vision New America 2004 Scholarship award ... Enjoys spending time with family and friends, listening to music and going to church. View the full website biography of Jeremy Lin.